On Tuesday 19th September, after more than a month out on the Black Sea, the third year of the Black Sea MAP marine archaeological project ends. The main objective of the project has been to map the submerged submarine landscapes along the Bulgarian coast. The water level of the Black Sea has risen significantly since the end of the last ice age, and ancient shorelines can now be found down to a depth of more than 100 metres. Caption 1: Screen shot of the 2000-year-old Roman wreck in 2000 metres water depth. The port side quarter rudder with its tiller still attached (Photo Johan Rönnby, Black Sea MAP). 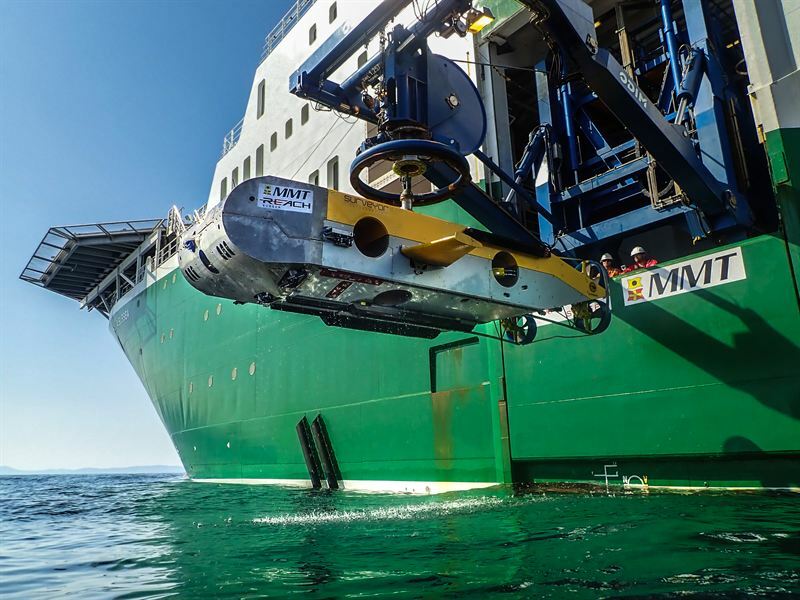 During 2016 and 2017, MMT together with Reach Subsea has participated with underwater technology and survey and ROV vessels (M/V Stril Explorer, 76 metres long and M/V Havila Subsea, 98 metres long). A total search distance of approximately 2600 km has been mapped with the newly developed Surveyor Interceptor ROV. In addition, about 50 sediment cores have been collected for analysis, and as a bonus more than 60 new wrecks have been found. These have been inspected and documented with work class ROVs (Kystdesign Supporter and Shilling) down to over 2000 meters depth. Caption 2: Preliminary photogrammetric model of Black Sea MAP’s final discovery of 2017. A Roman ship lying in over 2000 metres water depth. Its mast still stands, both quarter rudders with their tillers are still attached and the yards lie on deck where they fell. Rope is still draped over the frames due to the extraordinary preservation of organic materials in the Black Sea’s anoxic conditions. The relatively slight damage at the bow and stern was sustained at the time of wrecking. Since then, nearly two thousand years ago, time has passed it by (Black Sea MAP). The preservation conditions for wood in the Black Sea are similar to those in the Baltic Sea. In both of these inland seas, wood and other organic materials can be preserved for a very long time. However, unlike the Baltic Sea, many custom-built trade and war ships belonging to powerful states and cultures have sailed and sunk in the Black Sea for thousands of years. 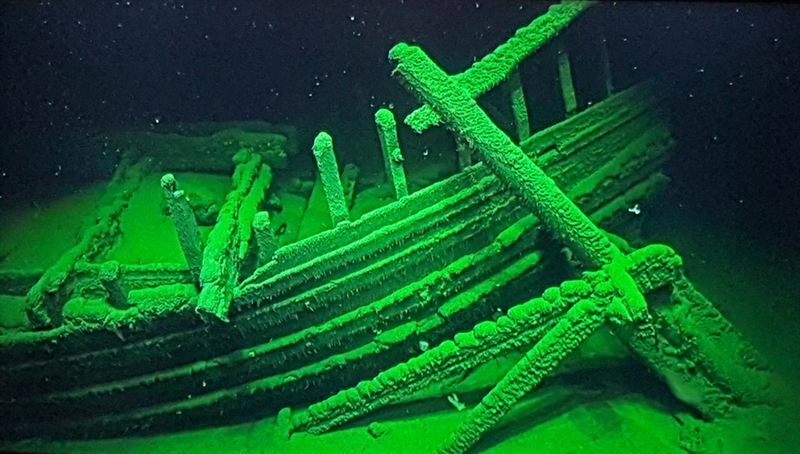 Preliminary age determinations indicate that the oldest wrecks that were found and inspected during the project are from classical Greek and Roman times. This means that some of the examined wrecks at the seabed are up to 2500 years old. The unique preservation conditions, in a dark and low-oxygen environment, result in many of the ships having intact hullsides and masts still standing up. On board the ships, many containers for wine, oil and olives have been found. Some of these amphorae have been salvaged with an ROV after first being uncovered using a suction hose. A unique example of robot archaeology! Marine archaeologists on board have been able to study ancient shipbuilding details, previously known only through paintings and inscriptions. In addition to standard survey systems on the ROVs (Chirp, Sidescan Sonar and Multibeam Echo Sounder), MMT has equipped the different ROVs with lasers and high resolution still and video cameras. 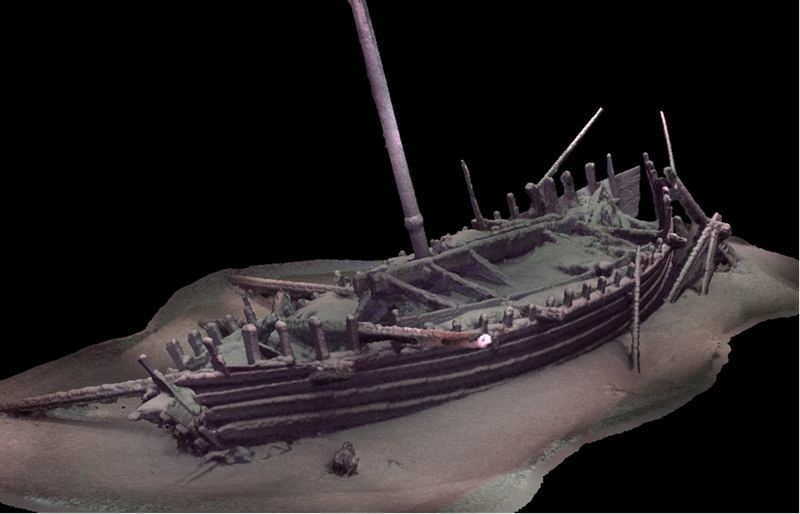 3D, made to scale models of the wrecks have been created on board using this equipment (photogrammetry and laser bathymetry) and have then been printed in a 3D printer on board Havila Subsea. In many cases, it has been possible to have a correct scale model of a wreck less than 12 hours after it was discovered! 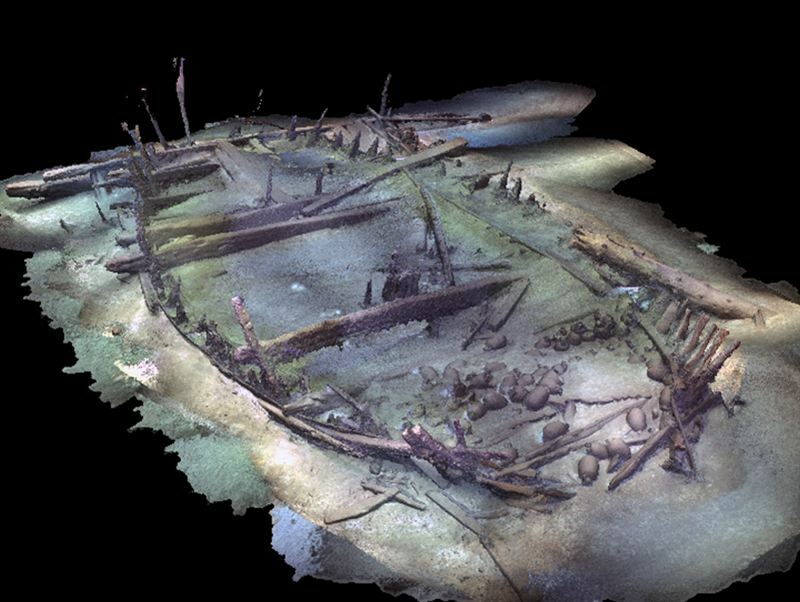 Caption 4: Black Sea MAP’s discovery of a late Roman ship on the Bulgarian shelf. Although the depth is relatively shallow, the wreck is extraordinarily well preserved. Visible in the bow is a cargo of amphorae, tiles from the ship’s galley and some of the crew’s cooking pots, a capstan (known from illustrations but never seen before) and rigging elements. One of the amphorae will be recovered for dating and further analysis (BSMAP 2017). The project is lead scientifically by Southampton University, UK and The Bulgarian Center of Underwater Archeology with Södertörn University/MARIS, SE and University of Connecticut, US as scientific partners. MMT has in collaboration with Reach Subsea provided the platform and technical solutions for survey, sampling and documentation. The project can also be seen as a continuation of MMT's long-term cooperation with the Marine Research Institute, MARIS at Södertörn University. A collaboration that has included, among other things, surveys in the Baltic Sea of the so-called Ghost Ship from the mid-sixteenth century, and the naval ship Mars (1564). The project has been funded by the Expedition and Education Foundation (EEFE), a foundation funded by Julia and Hans Rausing Trust.